Following lots of research and help from various people we believe that this early policewoman is Marion Redfern. 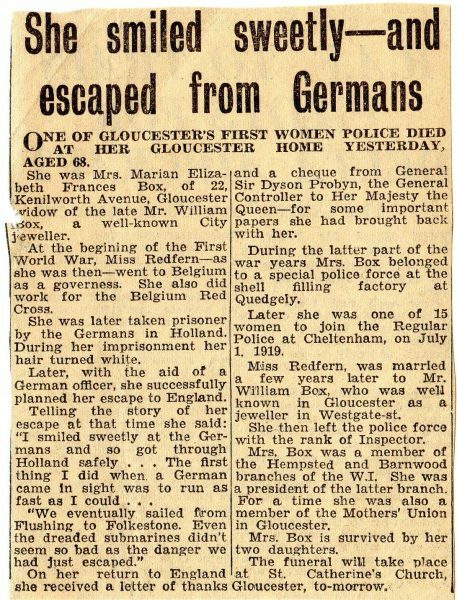 She was a sub-inspector at the Number 5 national Filling Factory at Quedgeley and left the police on 27th October 1919 to marry William Box a well known Gloucester jeweller. Her obituary in 1952 shows that she had a very interesting life. This page was added on 26/08/2016. I believe this is Inspector REDFERN who was based at the nearby munitions factory (no 5 National Filling Factory Quedgeley, Gloucester) during WW1. The same woman appears in a photo in the Cheltenham Chronicle and Gloucestershire Graphic in June 1917 at the Munitions Sports event in Gloucester. 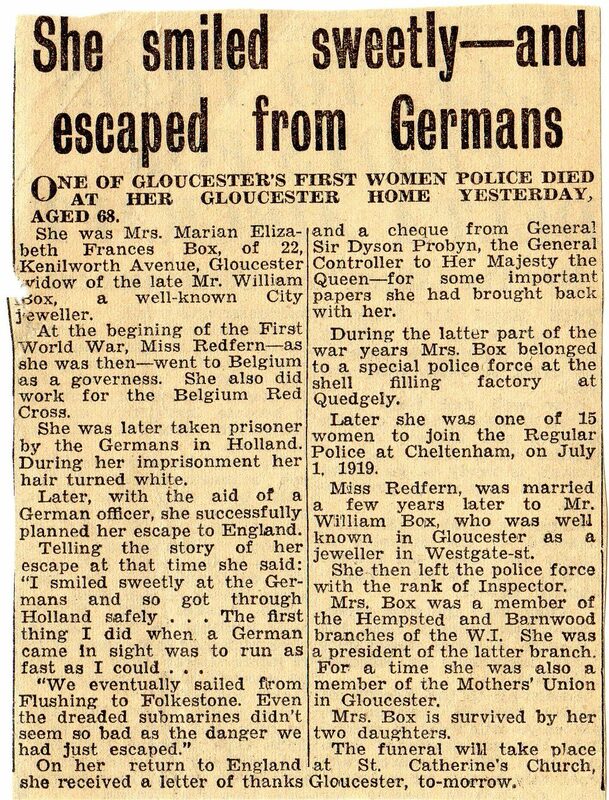 Insp Redfern is listed in Allen’s book ‘Pioneer Policewomen’ as having been at Quedgeley during WW1.